Livestreaming. 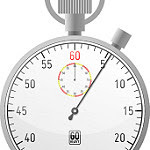 Six-second videos. Mobile-first options for filming. Captioned videos you can watch with the sound off. Series that don't have to fit a network schedule. And, finally, mobile live-streaming for YouTube's top creators. Those are just some of the things that should be prompting you to evolve your video strategy in 2017. I've found some inspiration for that evolution where I wasn't expecting it. I'm reading The Platinum Age of Television, a book solidly focused on TV, by critic David Bianculli. (You may want the audiobook edition I'm listening to, because Bianculli's got a great voice.) 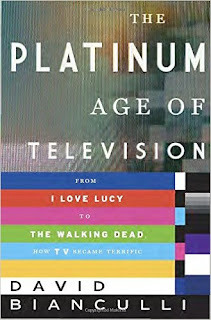 The book takes you through the "golden age" programs in a range of categories, and propels you forward into the current "platinum" age when, as the title says "TV became terrific." On the way, you learn what really works about some of today's online video options coming from the realm of television. Take Carpool Karaoke, the brainchild of James Corden, host of The Late Late Show on CBS. Episodes airing on television see an audience of about 1 million. The most-watched Carpool Karaoke segment, with singer Adele, is getting close to 150 million views on YouTube at this writing. Bianculli notes that the carpool segments are a perfect example of making the traditional late-night talk show shorter and faster. Because Corden interviews his carpool performers in between songs, he's taking elements from talk shows that work--performances and interviews--and encapsulating them in a tighter format that works independently online and as part of a show on the air. Of course, the segments draw audiences far bigger than the late-night show. Can you think about how to do the same with your previous video efforts? Or consider how Broadway is learning from Netflix: Instead of banning cameras and dealing with the "crappy, hidden videos" people were taking anyway, the theater is starting to embrace livestreaming and broadening its audience with a higher-quality product. You'll find yet another iteration of how to evolve your approach to video in the PBS program Frontline, which is now offering interactive versions of its films, annotated and with additional longer-form interviews, which users can clip and share in pieces. Letting the audience carve up your documentary wouldn't have been thought of as an option 20 years ago, but it suits today's sharing culture, and takes forward TED's interactive transcripts and video sharing, one big step forward. Here's more reinforcement of the trend: This Think with Google video asks four marketers how they're evolving their video strategy in 2017, and you'll hear similar thoughts and perspectives. Blurring the lines between online and big-screen video is here. How Is Your Video Strategy Evolving in 2017?